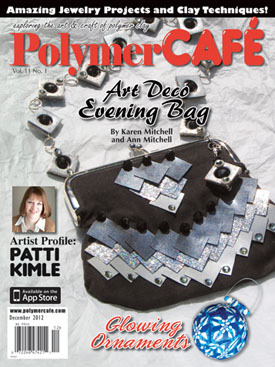 I’m honored to be profiled in the December issue of Polymer Cafe magazine. Thanks for the good words, Patti. 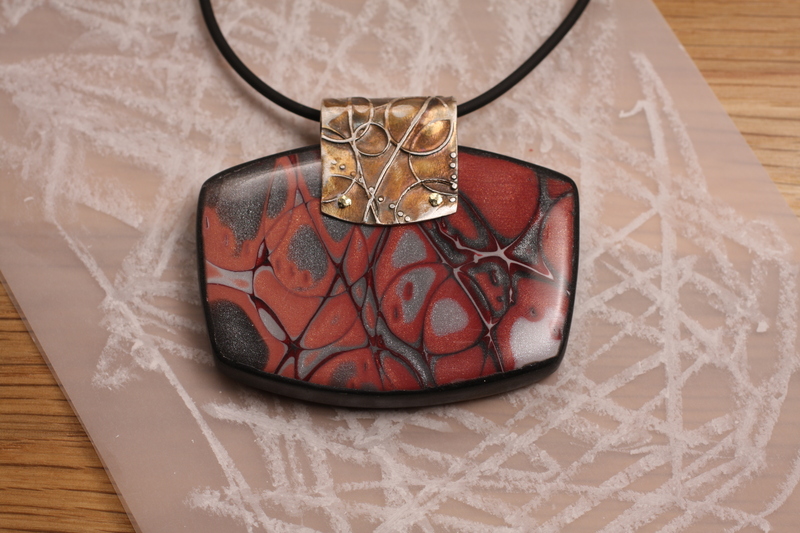 I did my demo at Sandy Camp on the water color effects with inks and dyes (made with Rit) and showed them the article and your book Polymer Clay Inspirations as the “mother” of the technique. Even though that book came out in 2004 there were plenty of people who didn’t have it so you may see an uptick in sales. PC Inspirations is out of print now, so they’ll have to look for used or resellers on Amazon. It won’t likely be in any bookstores.